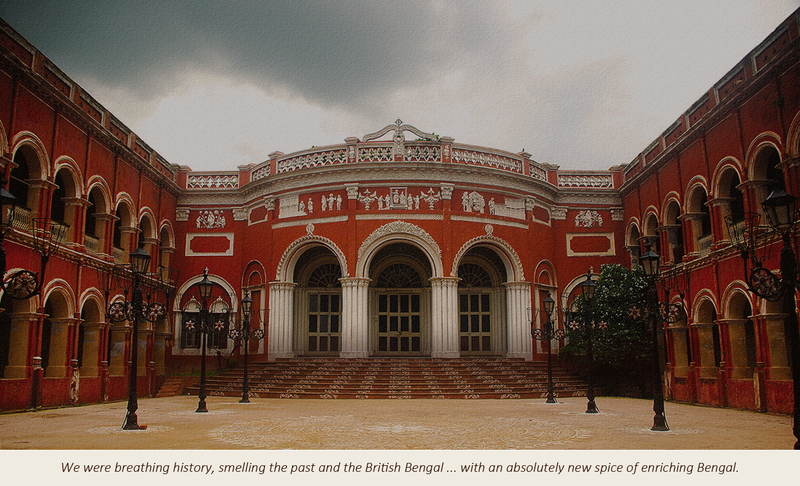 The other name for Itachuna Rajbari is ‘ Bargee Danga’. The term has been derived from Bargee , which was a name given by the bengali’s to the Maratha warriors. There was a time when Maratha’s attacked Bengal repeatedly to collect Chauth, which was 1/4th of the tax that was to be paid by the Nawab of Bengal( Sub-e-dar), Bihar and Orissa. Apocryphally, after Aurangzeb the downfall of Mughal empire had started. The Bargee’s attacked under the the guidance of Bhaskar Pandit and Raghuji Bhosle from 1742-1752. 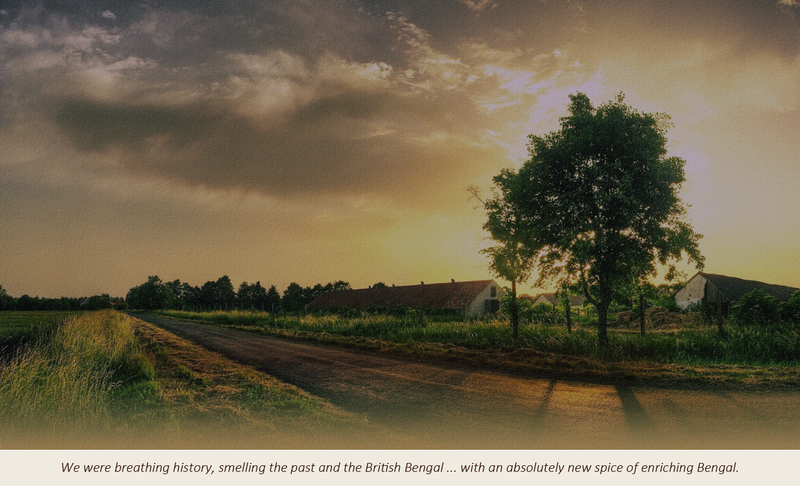 Katwa , near Hooghly was made the early centre which was later changed to Medinipur. Though the Maratha warriors stopped their attacks after the assassination of Mir Habib, they gained control over Orrisa. As a result many maratha Bargee’s stayed back in Bengal and started their own trade. They amassed a lot of wealth. One of such Maratha warriors were the Kundans, now known as Kundu’s also settled here. 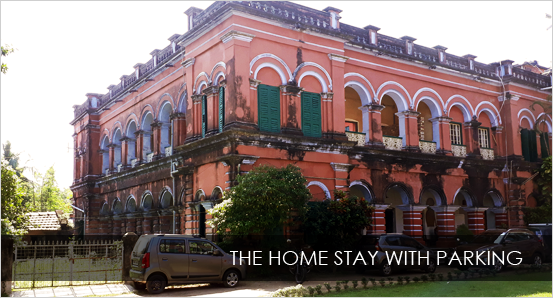 The Itachuna Rajbari was built by the ancestors of Shri Safallya Narayan Kundu in 1766. 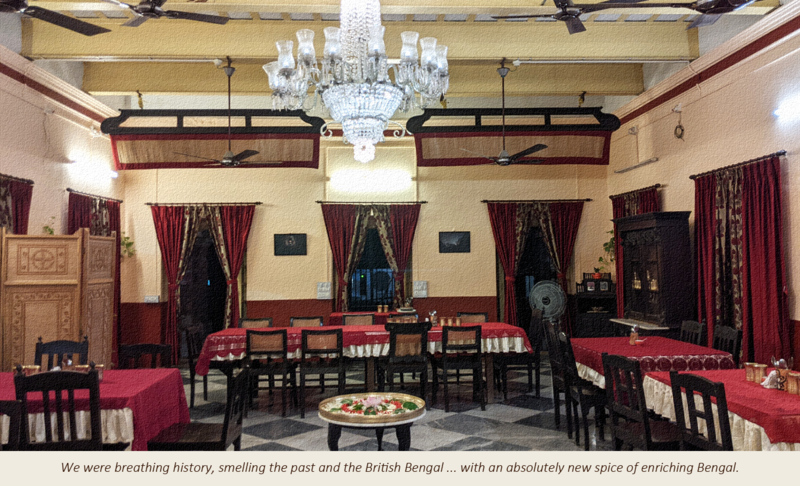 The Govt.of India’s policy of abolishing the Raj-culture hindered further flourishes of the Rajbari. It is the present inheritors of the family Shri. Rabindra Narayan, Shri. Dhruva Narayan and Shri. 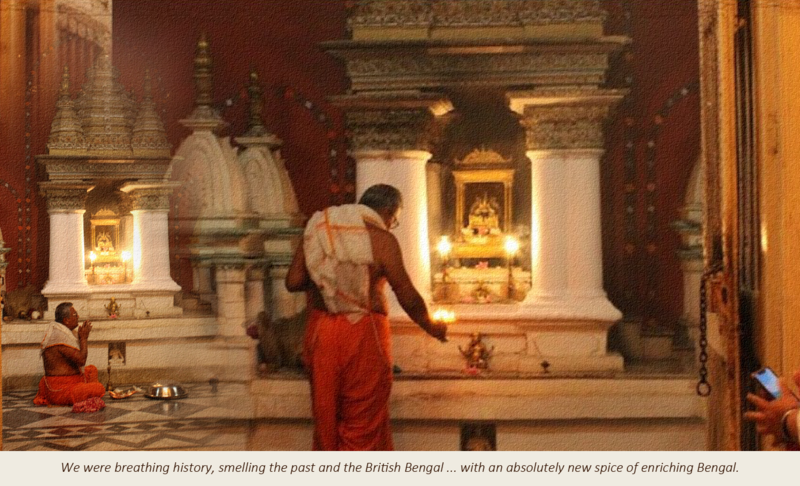 Basav Narayan Kundu along with Mylestones & Journeys who have decided to restore the glory and are making all efforts to maintain the royal heritage through regular upkeep. 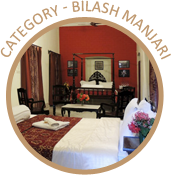 The Heritage Homestay is one such initiative through which village tourism may be promoted in this area. Mylestones and Journeys – Most of us here come from the holiday / travel / tourism background. Staying in Kolkata, we have always wanted to buzz off for many ‘ 2 nighter ‘ holidays with the family / alone / with friends – somewhere within 2 hours driving distance / somehwere we can go and just be ourselves / where we can connect with nature and disconnect from our material lives / where happiness is not only about spending money / where we can fly kites in the terrace, play kabaddi, listen to the flute, sit under the starlit sky with the noise of the last passing train, soak in the music of the locals, smell the wet soil …………… cosy bedrooms, clean washrooms, great food, unconditional smiling service that will pamper us. It was our dream to work on destinations and projects where we could do simple things and build something worthwhile, something our next generations will be proud to inherit / give shape to our smallest wishes / breathe life into our ‘ thousand ideas per minute ‘ / make little contributions in the life of people around us / work together as a unit with multi-level resources – both human and natural / learnings and experiences through combinations of urban and rural lifestyles / responsible tourism we may call / ………. 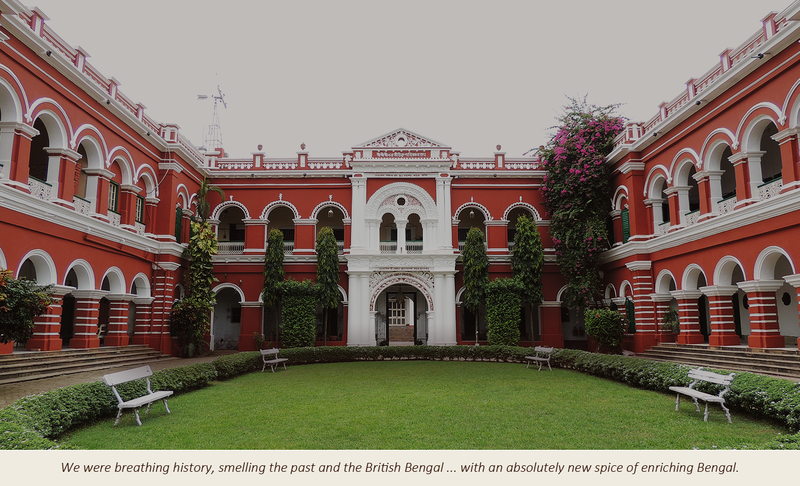 itachuna rajbari came to us as a blessing …. we took the first baby step towards living our dream, our dream to be a part of many such initiatives through which we may contribute to our personal lives, our livelihoods, our society, mankind and much much more …. 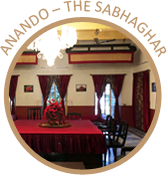 Real aura of a century old Rajbari can be experienced with a guided tour around the Rajbari on request. Your health is very important for us. Dr. Ranjan K. Bera ( general physician, D.I.A.S.M) will be available for service in case of emergency. 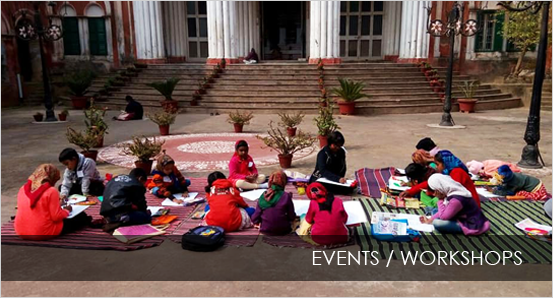 Day Outings/Events like, Summer camp, etc may be booked in advance. 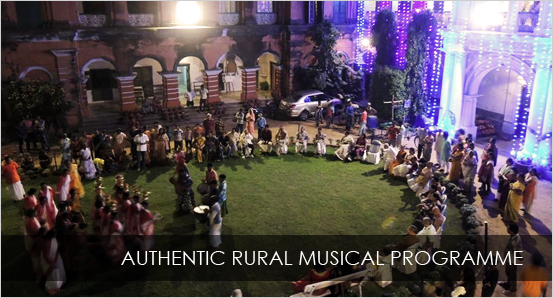 An authentic Rural musical programme (Baul) is available on request for an extra cost. 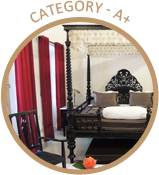 The Home stay may be booked on a daily basis OR interested guests may also pre-book room nights as per their choice for the entire year. Evening AARATI at the temple takes place everyday in the evening between (6.15-6:30 pm) during summers and during winters it starts between ( 5.30-5:45 pm). 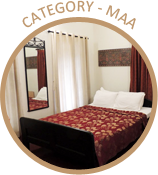 Parking facility is available inside the Rajbari and also in the immediate vicinity ( at your own risk). 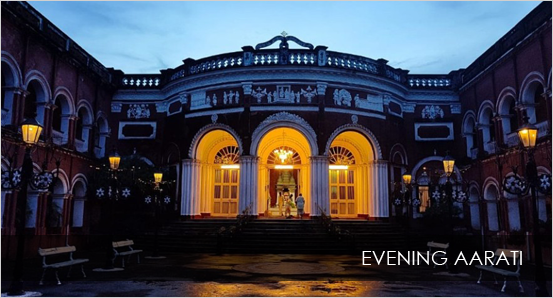 Flute is played every day in the evening for you to get up close and personal with nature and the ambiance of the Rajbari. Guest can enjoy free Wi-Fi. This is our Home; You are our guest… YOU are our GOD. 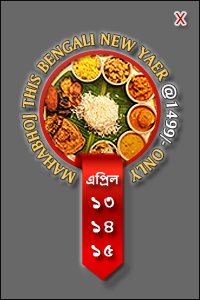 Please note: All internal gates of the rajbari are closed at 11:00 pm. every day for security purposes, please return to your respective rooms by 11:00 pm., walking around the house and public places is strictly restricted after 11:00 pm. except for emergencies. We thank you for being at our home. Hot water will be supplied in buckets if the geyser does not operate due to voltage fluctuations. Inconvenience is regretted. 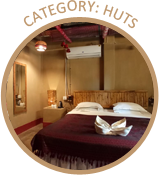 Please note that for the comfort of our guests, Airconditioners are fitted in all ‘A category’ rooms, usage is optional ( pls check tariff for details ). However due to voltage fluctuations and irregular electric supply, it is not possible to operate the airconditioners under normal electric supply conditions. We have tried and the result has been fatal, airconditioners get damaged OR the electric meters get damaged. Airconditioners are operated with the help of generators. 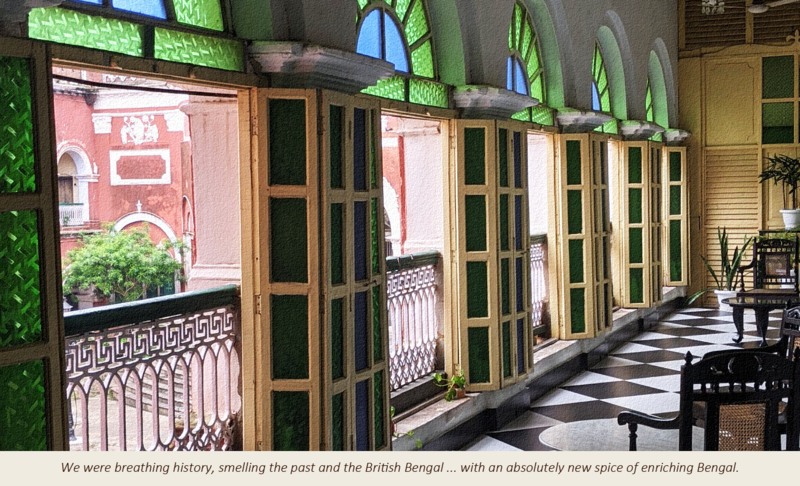 However, there is a breather on this note – the walls of all the rooms and all the ceilings of the Rajbari are so thick & high that this keeps the rooms very cool & pleasant throughout the day. This reminds us of the many Eco Huts / Eco Resorts / Heritage Palaces / Green Destinations we keep reading about and often visit where usage of electricity is bare minimum and are growing more and more popular with intrepid travellers around the world. local purchase, it should be consumed in their rooms, without disturbance to other guests or residents. Management shall not remain responsible for any dispute arising out of this issue. 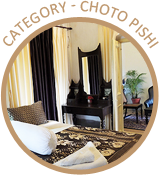 Voices and sounds should be kept to private levels, and the help of all Our occupants is sought in maintaining the peaceful environment and cleanliness of the grounds. Apocryphally, after Aurangzeb the downfall of Mughal empire had started. The Bargee’s attacked under the the guidance of Bhaskar Pandit and Raghuji Bhosle from 1742-1752. 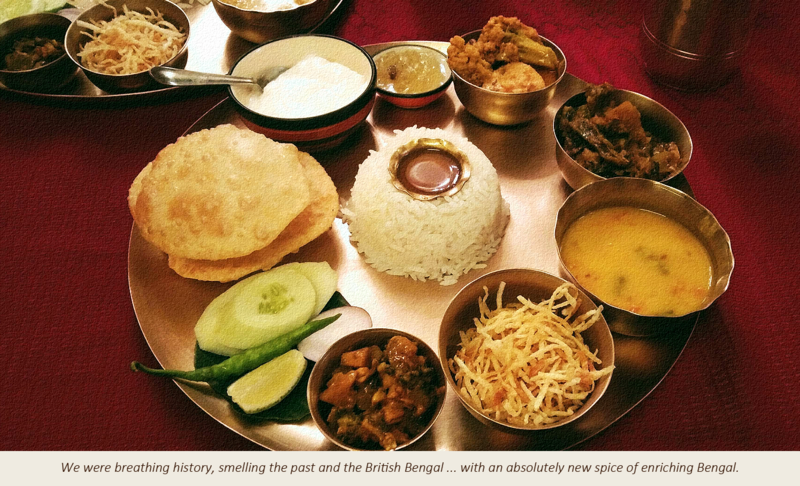 Katwa, near Hooghly was made the early centre which was later changed to Medinipur.